1. "Sorry" - Kimo was driving in Kaua'i one morning and heard Cindy Combs talking about a song that she wrote. She was using Keola's C tuning but had messed it up. Instead of CGDGBE, she had CGDF#BE. The high G had been tuned down to F# and she didn't realize it at first. So she liked it and went ahead and used the opportunity to write a new song. So Kimo turned around right away and headed back to Waipouli and set it to Cindy's C tuning, as we can call it now. He very quickly came up with this song, and when Kai heard it she said "What is that ? It is so sad !" and Kimo just said "Sorry..."
2. 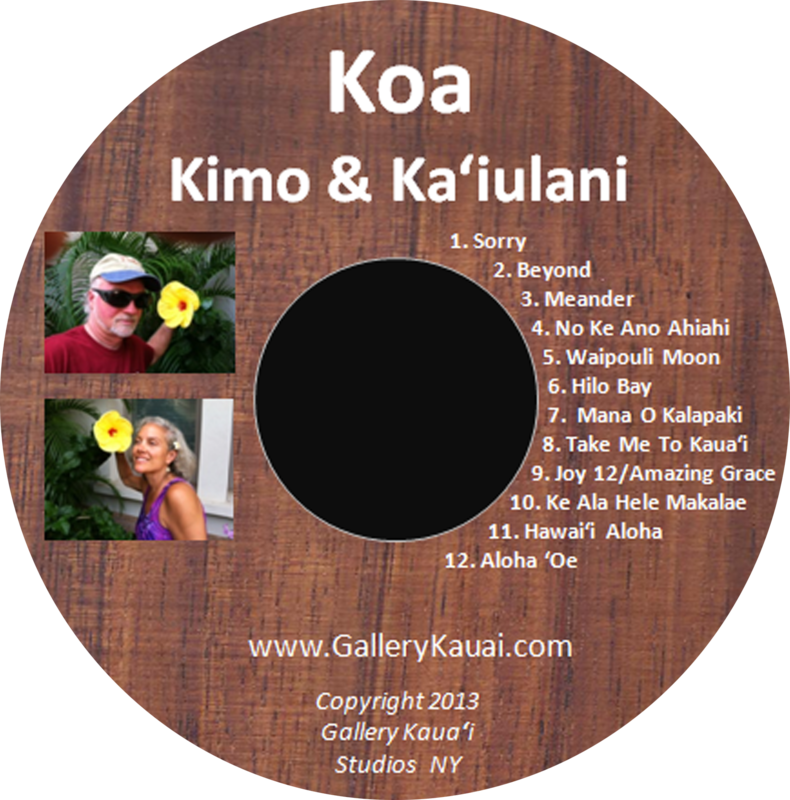 "Beyond" Based on a melody that Kimo came up with during the Kaua'i Music Festival, ... Ka'iulani's lyrics describe a love that goes beyond the norm. In every relationship there are good moments and not so good ones. The ultimate goal is to nurture each other and keep the love that goes "beyond"...always together...within reach. Kimo plays in CGCEGC tuning on Taylor 6-string, and ukulele solo and accompaniment parts on Kamaka ukulele. 4. "No Ke Ano Ahiahi" A traditional Hawaiian mele - reinterpreted. Ka'iulani sing about the "heavenly Hawaiian Chief...Lunalilo"
Kimo plays two Takamine Nylon string guitar parts in Keola's C tuning CGDGBE, and the Kala UBass, along with two Kamaka ukulele parts. 5. "Waipouli Moon" This is an original ukulele song by Kimo - it came to him spontaneously while playing ukulele watching the beautiful moon rising over Waipouli one clear night in Kaua'i. He added a Kala UBass part and solo part on Kamaka ukulele as well as percussion part played by Kimo on traditional ipu heke. 6. "Hilo Bay" - Kimo's wrote this song while sitting in the Lanai of the Hilo Bay Hotel, just before leaving back to the Mainland and leaving daughter Leilani at the University of Hawaii at Hilo. It was a happy and sad moment ! Ka'iualni's tears were flowing. Kimo uses a very unique tuning AEBEBE for this. This is the 12-string Taylor version of the same song that Kimo recorded on six-string Taylor guitar on his Slack Key Instrumentals CD. 7. "Mana O Kalapaki" - A new recording of an original by Kimo & Ka'iulani. This song describes a vision that appeared to them while on Kaua'i. August 2008, 1:00am she was floating on the water...Ka'iulani named her Mana O Kalapaki...the Spirit of Kalapaki Bay. Ka'iulani & Kimo saw her on her knees with her hands waving towards the sky. They video taped the vision. At daybreak...they created this song. Later, Kimo & Ka'iulani were told that spot was where the surfers protested the Super Ferry. 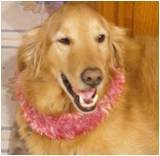 Kimo and Ka'iulani will never forget her. Kimo plays the six string Taylor guitar in BbFCFAC tuning with an added Kala UBass part. See the photo page for a video clip of what we saw. 9. "Joy Twelve/Amazing Grace" This song is a fusion of a new song that expresses Kimo's joy and challenges on the twelve string guitar, and then morphs into a traditional song Amazing Grace. Ka'iulani sings in both Hawaiian & English. It is reinterpreted in Slack Key style in BEBF#BD# tuning on Takamine 12 string guitar. 10. "Ke Ala Hele Makalae" This is a new original song that Kimo developed conceptually while biking on the Ke Ala Hele Makalae Trail in Kaua'i. Consisting of two parts played on Taylor 6 string guitar, one with a brass slide, and both in Kimo's BEBEBE tuning that he is still not finished with !